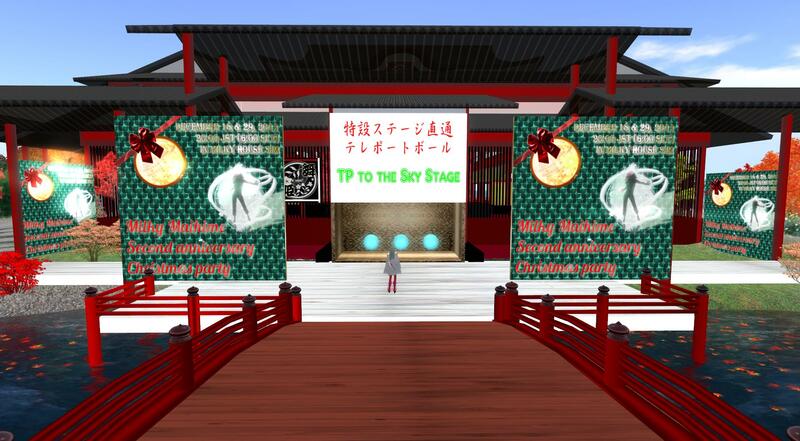 At the Sky Ball Stage at Milky Maihime Goden. We will TP you to the Stage by the TP machine on the time. The TP box was be setted at Maihime Show Dance Club entrance. Our Members will open it at the gat of TP Box open time for just 30 minutes like this. Please use the TP ball to go to the Sky Stage. 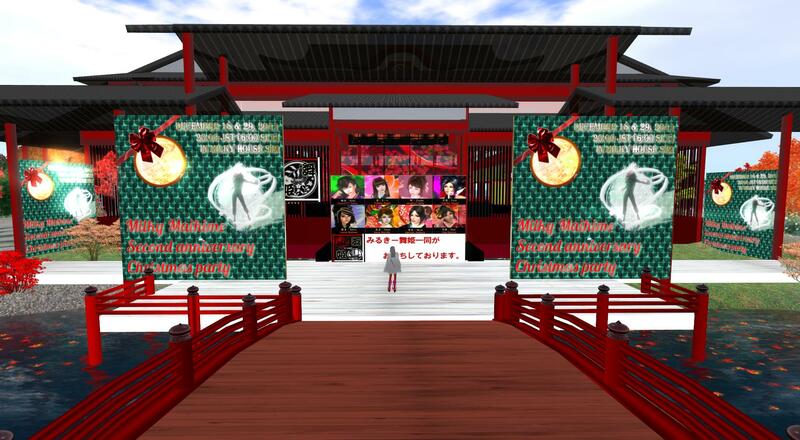 We would like you to enjoy Milky Maihime's Second anniversary Christmas Party at December, 2011. We will performance by the 70's and 80's Hot music(also the remix). Every member will do the best dance for you all from the heart for thank your support of 2011.